When I first glanced at Drew Westen’s The Political Brain, which promises to explore “the role of emotion” in the success of political campaigns, I braced myself for two disappointments typical of the pop psych genre: either Westen was a political pundit who did not really understand the brain, or he was a researcher trying to force his lab experiments to tell a coherent and important story. My cynicism was totally misplaced. From the outset, the book displays an impressive attunement to both the political sphere and to contemporary psychology. In an interesting twist, Westen reveals that he is a devoted Democrat, but rightly comments that his Machiavellian approach offers insights for everyone. Anyhow, it is fitting that Westen’s mission is to reinvigorate the Democrats, whose election record as of the book’s publication date (2007) was shoddy. In the presidential elections of the last century, only seven out of eighteen presidents had been Democrats. Moreover, in recent memory, the blue corners of the nation had been flabbergasted to see both Gore and Kerry fall to George W. Bush. Sweeping aside notions of presidential merit and rational voter choice, Westen demonstrates how failed campaign strategy dragged Gore, Kerry, and many of the last century’s Democrats down. The central buffoons of the story are Democratic political consultants, who operate on a flawed view of voters’ minds. They gear their appeals toward a dispassionate mind, one which makes political decisions by weighing evidence, reasoning to valid conclusions, and calculating the expected utility of each candidate. This view is not just outdated and simplistic; it loses elections. Real people vote based not on expected policy outcomes, but on feelings of shared values, trust, and emotional identification with candidates. But while the Democrats mistakenly take their cues from the debate team, Republican consultants focus on useful lessons from marketing. They create a party brand. They emphasize values and advise candidates to project likability and trustworthiness before intellect. They tell simple stories that envelop their candidates in positive associations while tagging their opponents with negative ones. 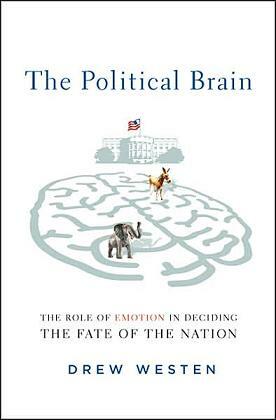 Though Westen gives a clear-headed view of how networks of emotionally laden associations in the brain color voters’ decisions, his most valuable insights come in his examples. He dissects speeches and TV commercials from Clinton and Reagan, his two models of success, showing how each told an emotionally compelling and coherent story. And most enjoyably of all, he pulls out hilarious segments of the Bush-Gore debates in which Gore makes a very cold factual attack and Bush responds with goofy but emotionally appealing comments. Case in point: “BUSH (nodding toward Gore): Look, this is a man who has great numbers. He talks about numbers. I’m beginning to think not only did he invent the Internet, but he invented the calculator. It’s fuzzy math” (First Gore-Bush debate, October 3, 2004). Just as Gore’s advisors were congratulating themselves on winning the debates, the electorate was shifting toward Bush. Want to hear more? Check out Jonah Lehrer’s summary of one of Westen’s experiments. For still more, go read the book! Drew Westen is a clinical, personality, and political psychologist at Emory University. 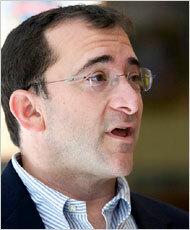 He founded Westen Strategies, a political and corporate consulting firm. Since the publication of The Political Brain in 2007, Westen has become a mini-superstar and campaigns across the country have flocked to him for advice. The question on my mind is this: how intentionally did Obama’s team enact Westen’s principles? The vague but enthusiastic promises of “hope” and “change we can believe in” clearly worked, and not because they appealed to rationality. While Westen was not a key campaign player, he gave plenty of informal advice and I bet some of Obama’s team paid attention. All in all, I’m glad to see Westen’s book wield pertinent psychological research to great effect. 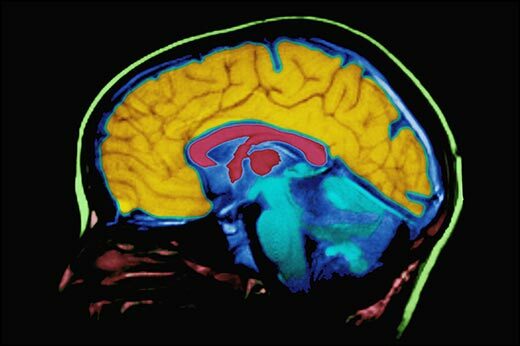 Hopefully, society’s thought leaders will increasingly heed the sciences of the mind.